The benefits of heat therapy and vibrating massages are well documented, from back pain relief, improved blood circulation, to stress relief. 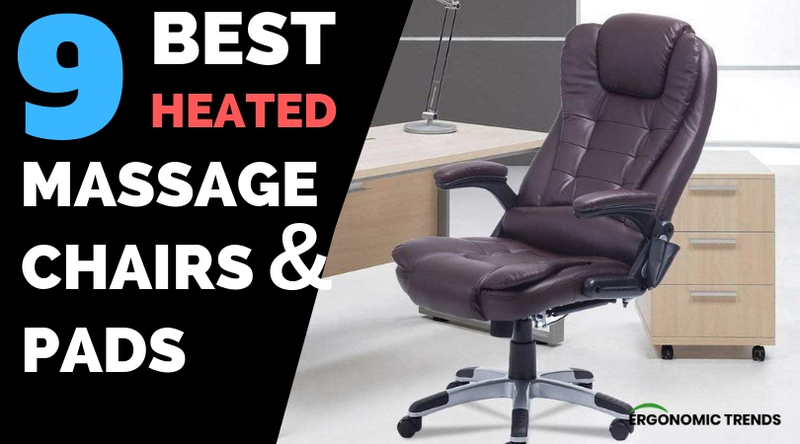 In this guide, we unveil the very best heated massage office chairs and chair pads in 2019 for you to get all the benefits of heat and vibrating massage therapy at the fraction of the cost of a full blown massage chair or visit to a therapist. Which Heated Massage Office Chair will You Choose? 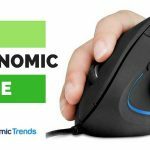 Starting off our list is both ours and Amazon’s Choice for one of the best massage office chairs, the Homgrace Executive Massage Chair. Aside from having 4 color options, it shines for having 2 vibration levels, 3 timer modes, and a high weight capacity. One of the first things most people notice when sitting on the Homgrace massage chair is how comfortable and well padded the chair is. The soft PU leather is supple and supportive, with even the armrests thickly padded. I especially love the waterfall edge design of the seat, which prevents excess pressure from building up in your inner thighs after prolonged sitting. The backrest is equally ergonomic, and supports both reclining (up to 125 degrees) and rocking to relieve back pressure. The massage points on the Homgrace Chair are focused on the head, upper back, lumbar, and thigh. You can choose between two intensities, three timer modes, and five massage modes. One user mentioned that the heating and massage functions aren’t too intense, and just enough to ease muscle kinks and knots. 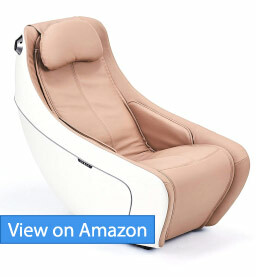 Available in four colors, the Homgrace Massage Chair is made of PU leather for that classic and refined look. And, if you’re worried about assembly, you’ll be happy to know that it comes with detailed instructions with pictures, allowing you to put it together in about 15 to 30 minutes. One thing that I didn’t like about this chair is that its massage feature is quite loud. Also, the armrests aren’t height adjustable. Since these drawbacks aren’t really deal breakers for me, I still highly recommend the Homgrace Massage Chair to anyone looking for a good heat and vibrating massage therapy session right in your office chair. Available for about $150, this is one investment that will pay for itself in just a few weeks of using it. 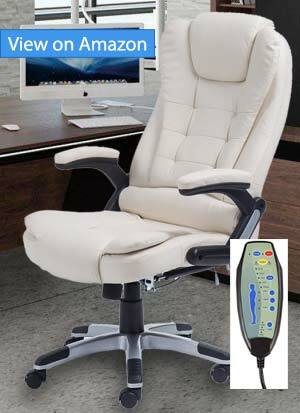 Unlike many heat massage office chairs that only come with one heat setting, Windaze is unique in that the temperature can be adjusted between 60°C to 70°C. Along with lots of massage points built into the chair, and we have our runner’s up for the best heated massage office chair. 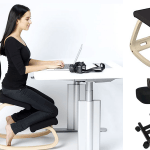 Very similar to the Homgrace chair above in terms of design, Windaze chair offers 6 vibration points throughout the chair, which can be set to pulse, press, wave, auto, or normal. You can choose which points you want to activate as well as how much strength you prefer. Of course, as I’ve mentioned above, the heated seat and backrest can be adjusted to temperatures between 60°C to 70°C. In fact, it feels so good that one user mentioned being the envy of the office after getting this massage chair. The Windaze Massage Chair supports a maximum capacity of 300 pounds. I like the 20.8-inch wide seat that also comes with the waterfall seat edge to help relief pressure in your inner thighs as you sit. People concerned about the environment will love that the foam padding used in this chair is made from recycled materials. Aside from being easy to assemble, I find the small remote control pocket and the reclining button nice touches. Some things that, for me, are missing in this heated massage chair are the adjustable armrests and headrest. 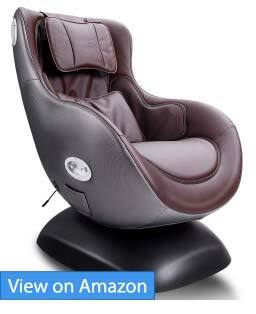 Still, the Windaze Massage Chair provides good value in terms of relaxation and comfortable sitting. 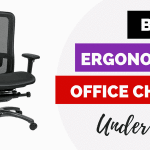 It makes for an excellent executive office chair that just happens to massage you as well when you need it. So far, the two massage chairs we’ve reviewed both use a combination of vibration and heating to relax the muscles and boost blood circulation. However, if you’re looking for a deep tissue massager and don’t mind paying extra for it, I highly recommend the Giantex Leisure Curved Massage Chair. 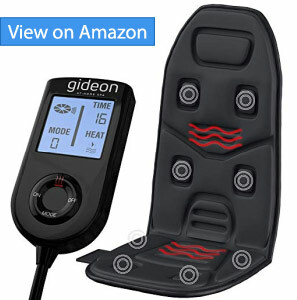 Coming in at just under $550 (check latest price), it combines a S massage track, 3D deep massage, and heating function to provide masseuse-like massages at a fraction of the cost of full-blown massage chairs. Aside from the customizable neck massage, the Giantex Massage Chair boasts of an S massage track that relaxes the vertebra and soothes back muscle tension all alone the spine. This goes well with its 3D massage technology which offers the benefits of deep tissue massages minus the cost of therapist sessions. One user commented that the kneading massage works great in relieving her sore muscles after a day of work. Completing the massage package is the shiatsu-like massage for the hip and waist. Then, there’s the heating therapy which runs from the upper back to the seat. All these features can be controlled using the wired remote control. It’s also able to handle up to 250 pounds of weight. Like most full sized massage chairs, the Giantex is heavy at 66 pounds, and not the best chair to move between rooms. It doesn’t swivel, nor come with casters. Something to keep in mind. Aside from the lack of mobility, I find the padding to be too thin to sit on as a regular office chair. It doesn’t have armrests that can support my arms while working either. This is a massage chair first and foremost, not an office chair. At the end of the day, the Giantex Massage Chair is a great choice for anyone who want real deep tissue massages after a long day at work. Pair this with a nice ottoman to put your feet up while relaxing. Last but certainly not least is the Synca Wellness Heated Massage Chair. If offers the most complete set of massages out of all the chairs here, with a SL Track and air compression technology that comes closest to simulating real massages. It’s also extremely compact to boot. The SL Track Technology starts with the trapezius muscle of the neck and ends at the hamstring muscle under the thigh, spanning 34 inches. Aside from allowing you to choose between tapping, kneading, and rolling techniques, it comes with a body scanner which customizes the massage according to your back curvature and length. To keep your lower core muscles limber, the Synca CirC uses air technology to gently move your hips from side to side. This works well with the heat therapy located in the lumbar area to relax tense muscles. Using the remote control, you can personalize all these features and even target a specific problem area. The Synca CirC works for people with heights between 4’9″ to 6’2″ and has a maximum weight capacity of 250 pounds. I like turning off the lights when I’m relaxing with the CirC, since it has lights at the sides of the headrest to simulate a soft candle glow. Aside from having a 1-year warranty, one satisfied buyer mentioned how thoroughly impressed he was with the company’s customer service. After sending a short mail about a creaking noise, the company sent a replacement, no questions asked. I don’t really have any complaints about the Synca CirC. Instead, I wish the company would adjust the massage to include the neck as well. Overall, the Synca CirC is one of the most luxurious heated massage chairs we’ve reviewed at the sub $1,000 price point. Just like with the Giantex Massage Chair, I recommend getting an ottoman to pair with this chair for a more relaxing experience. 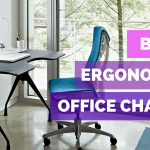 If you’re not ready to ditch your current office chair for the added heat and massaging functions, all is not lost. There are many heated massage pads you can simply throw on top of your existing chair. 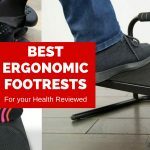 Some are evenly highly flexible, allowing you to lay them on your couch or even completely flat on the bed for you to experience the benefits of a massage anywhere. Let’s start with the very best massage chair pad currently on the market, the Shiatsu Massage Chair Pad. 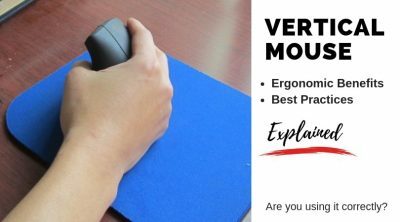 Though it’s the most expensive one on our list, it is also the only massage pad that actually massages your neck, and combines heat, vibration, and deep tissue roller massages to soothe everywhere from your neck, back, to thigh regions. 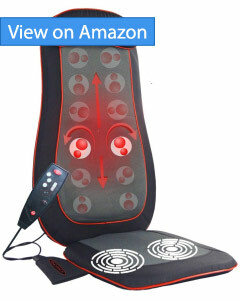 The neck and back massage each has 4 shiatsu balls which you can power up with the heating function. On top of a spot massage, the shiatsu balls for the back can go up and down in either a rolling or kneading motion. One happy buyer said that it’s worth every penny since it eliminated his back spasms by boosting his blood circulation. 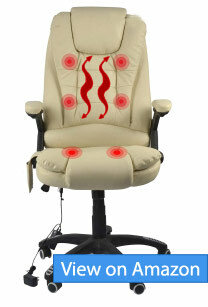 Since blood circulation in the lower body is just as important, the seat of the Snailax Massage Chair Pad has 2 vibrating massage nodes with 2 intensity levels to choose from. The neck and back massagers have removable flaps which you can wash to prevent microbial growth. As for the warranty, it comes with a 2-year warranty which you can extend to five years by paying extra. Also, the company is very prompt in helping people who are having issues with the product they received. I was quite disappointed though that the seat of the Snailax doesn’t heat up, only vibrates. Some people also complain that the strength of the back massage is too much for them. In such cases, placing a thin pillow helps lessen the intensity. All in all, I still highly recommend the Snailax Shiatsu Massage Chair Pad if you want to enjoy an almost full body massage – including the neck- without buying an entire massage chair. Just use the two elastic straps with Velcro fasteners to place it firmly on any chair and you’re good to go. Only Massage Pad that massages your neck as well. For those of you who don’t care much for neck massages, check out the IDODO Heated Massage Chair Pad, which is available for under $80 at time of writing. It has similar features (minus the neck massages) to the Snailax pad above, but at half the price. Additionally, it comes with a car adapter and the ability to lay flat, both of which are useful additions. To start with, the IDODO Massage Chair Pad has 8 shiatsu nodes which travels the length of your back for a rolling or kneading massage. Of course, if you want, you can just do a spot massage by using the remote control to move the nodes. This feature is also very useful in personalizing the pad to suit the exact area of your body that needs some treatment. Once you’ve chosen a massage function, turn on the heating system to help you relax after a tiring day. Note that the heating function automatically shuts down after 15 minutes for safety. Unfortunately, the seat doesn’t come with heating like the Snailax, but it does have a vibration massage which you can adjust to 3 different levels. Unlike the Snailax, another great thing about the IDODO Massage Chair Pad is that it can be laid flat. This means that, aside from your office chair and recliner, you can use this while lying on your bed. You can even use it in the car since it comes with a car adaptor. Just don’t use it while driving to prevent accidents. What I found lacking about this product is that it doesn’t include a neck massager. You need to buy it separately. Plus, I wish there was a way to adjust the intensity of the back massage. Though the default intensity works fine for me, it’s a tad painful for my mom. Still, for the value that you get at below $80, the IDODO Massage Chair Pad is a very good deal. Various massage functions and heating, all for a reasonable price. If you prefer vibrating massages over shiatsu balls, then the Gideon Heated Vibrating Seat Cushion is just what you need. With a keypad with an LCD screen and a heated back and seat, this product has 8 massage motors which you can customize to your own needs. And, check this out. 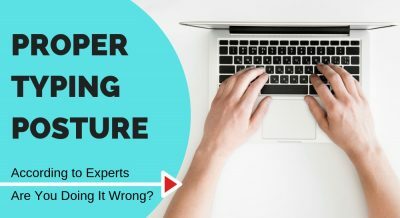 It’s available for below $50 at time of writing. Some people find shiatsu balls painful, so the Gideon Heated Vibrating Seat Cushion is a good option for people to relax with a less intense massage. 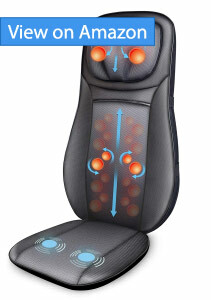 The back and the seat each has 4 vibrating massage nodes. Even when it’s dim, you you can use the corded keypad, which comes with an LCD screen, to choose between 8 pre-programmed massage patterns. I like that it has heating in both the seat and back, and that you can use the heating even without the massage. These are small but good features which not a lot of heated pads have. With the combination of the gentle warmth and vibrating massage, you’ll be able to soothe your tired muscles. One satisfied buyer who suffers from fibromyalgia even mentioned that, out of the similar products he has tried, this is the only one who effectively helps him with the pain. You can use the Gideon Heated Vibrating Seat Cushion on your recliner while watching your favorite show. You can also use it in the car while you’re stuck in traffic since it comes with a car plug. Even better, you can lay this flat on your bed, and drift off to sleep while relaxing. You don’t have to worry about overheating either since it automatically turns off after 30 minutes. I read a lot of people complaining about its lack of intensity. But, like I’ve said before, vibrating massages are intended for people who are too sensitive for shiatsu balls. Personally, the only thing I’d change in this product from Gideon is the addition of a neck massager. Overall, the Gideon Heated Vibrating Seat Cushion is a steal for just $50. This is what you need if you want relax your muscles and improve your blood circulation without spending a lot. Last, but not the least, we have another product from Snailax, the Heated Massage Mat. Designed for use on almost any surface, this is the best massage mat you can get for heated vibrating massages anywhere you go. 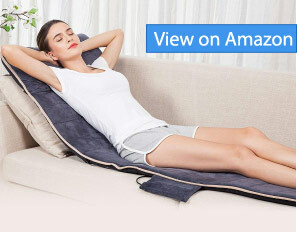 Unlike the first Snailax product which spans the neck to the thighs, the Snailax Heated Massage Mat is 69 inches long, starting from the shoulders and going all the way past the legs. Though it isn’t as intense as shiatsu massagers, you can choose between 3 vibration levels and 5 massage modes. Of course, there’s also an option to only massage zones like the shoulders, mid-back, lumbar, and legs and thighs. Each of the zone I’ve mentioned comes with their own heating pad. You can turn off the massage function and use this Snailax unit for thermotherapy. Of course, just in case you fall asleep, there’s a 30-minute auto timer to prevent overheating. Though it’s long, you can bring the Snailax Heated Massage Mat wherever you go since it’s foldable. Plus, I like that the cover is super plush, making it very comfortable to sleep on. Unfortunately, it isn’t removable, so it can’t be washed. What one user does is to wipe it with a damp cloth and to let it air dry after. My only complaint is that there was a mild plastic smell upon opening this Snailax product. Though it is mild for me, it might be stronger for more sensitive people. Good news is that this smell goes away after a few days. I also wished that there was an included neck massager. Overall, I highly recommend the Snailax Heated Massage Mat to anyone who wants to get a full-body vibration massage anytime you want. At its $80 price point, quality and functions, it’s one of the best investments you can make. Today, heat therapy, or thermotherapy, is popular for providing pain relief, improving muscle flexibility, and boosting post workout healing. Plus, it is both non-invasive and non-pharmaceutical. Here are some of the proven benefits of heat therapy, which as mentioned are found in the massage chairs in our list above. There are many factors that cause migraine and headache. But, if the cause of your headache is tension, applying heat therapy on your neck and shoulder to loosen the tense muscles can help. Applying heat to the problem area can reduce the pain signals that are transmitted to the brain, reducing pain. There are several studies that back this claim. According to a 2010 study, thermotherapy reduces muscle spasms while increasing tissue temperature, blood flow, metabolism and connective tissue extensibility. This makes thermotherapy a good self-management pain relief option for people suffering from musculoskeletal diseases, rheumatoid arthritis, osteoarthritis, and osteoporosis. The Physical Rehabilitation of the Injured Athlete, which was published in 2012, stated that thermotherapy reduces peripheral nerve conduction velocity while inhibiting nerve receptors. This is why the application of heat for pain relief is a popular choice for athletes. A clinical trial on 87 patients in 2014 found that heat therapy is very effective in minimizing low back pain when used with pharmacologic treatment such as analgesics and anti-inflammatory drugs. The study also said that thermotherapy is a good supplementary treatment since it is affordable, accessible, and has little side effects. The previous study is backed by a research presented in the 2005 Annual Meeting of the International Society for the Study of the Lumbar Spine. It stated that the combination of exercise and thermotherapy can reduce acute low back pain while also boosting functionality. Based on a 2013 research, heat therapy can increase muscle and ligament flexibility while cryotherapy has the opposite effect. Having flexible muscles and ligaments means reducing your chances of getting injured during physical activities. It also prevents cramps, improves posture, increases strength, and boosts the overall wellness of the body and mind. Preventative heat therapy is even more effective than minimal stretching in reducing post workout low back pain. This is because the application of heat makes the muscle tissues more flexible and less prone to the micro-tears caused by working out. Thermotherapy can also be used after exercising to prevent delayed onset muscle soreness (DOMS). In fact, according to a 2015 study published in the Journal of Strength and Conditioning Research, heat therapy is better than cold therapy in healing the body after an intense workout. What cryotherapy does is constrict the blood vessels to reduce inflammation and numb the pain. On the other hand, heat therapy dilates the blood vessels so that more oxygen and nutrients can reach the injured muscles, speeding up the healing process. Having limited mitochondrial function or a reduced number of these micro energy centers is linked to conditions like heart disease, obstructive pulmonary disease, and type 2 diabetes. This is why regular exercise is one of the keys to a healthy lifestyle, since it can produce new mitochondria and keep the existing ones healthy. But, what if you have a condition which prevents you from working out? Fortunately, according to a 2018 American Physiological Society study, regular heat therapy can induce better mitochondrial functions in the muscles. Also, since it requires about two hours of exercise to actually start reaping the benefits associated to mitochondrial function and production, doing a combination of exercise and heat therapy might be better for people who can’t achieve that amount of exercise. It is safe for expecting women to use heated pads to reduce back pain as long as they remember the following. Heated pads should not be for more than 10 minutes and never overnight. Prevent using pads during the first trimester since this is a delicate period that’s sensitive to body temperature changes. Stop using your heated pad if it is so hot that it makes you sweat. Do not combine the heated pad with other sources of heat. Heating pads are even more effective in reducing back pain for pregnant women if combined with aerobic exercise and chiropractic care, according to a 2013 study. Of course, consulting your doctor first before doing thermotherapy during pregnancy is a must. This is especially true if you have a high-risk pregnancy (i.e. bleeding or leaking amniotic fluid). Just like heat therapy, vibrating massages come with a lot of benefits. When we are in pain, we instinctively massage or rub the area that hurts. This can often be seen in people who have stomach pain, headaches, or bumps. Now, scientists are saying that vibration, a similar kind of touch, has the same effect. The vibration not only numbs the problem area, it also relaxes the muscles around it. In fact, the Ohio State University Medical Center recommends getting vibrational massage for non-pharmaceutical pain relief. A study done by the University of Florida College of Medicine had similar results. They found that the use of vibration can reduce some types of pain for more than 40%. It even went on to say that this is good news for people with pain disorders like fibromyalgia, migraine and irritable bowel syndrome where there isn’t a known cause. In general, it is harder to inhibit pain from this type of disorders. But, their study found that vibration as pain relief for such disorders is very effective. There is also a study published in 2017 which showed that full body vibration can reduce the symptoms of fibromyalgia. If you often find yourself suffering back, neck, or shoulder pain due to tense muscles, you’ll be happy to know that vibration can help relax your muscles. Even better, according to a 2015 study, the use of vibration to boost blood flow and oxygenation in the muscles is very effective. A study carried out on 2011 even recommended using vibration as part of rehabilitation programs for people with spinal cord injuries because of these benefits. Another reason why vibration is good for rehabilitation is its ability to increase the regenerative potential of muscular tissue. Not only that, vibration also works well for disorders that result in muscle weakness. In 2014, a study was published in the Egyptian Journal of Medical Human Genetics which described the testing of whole body vibration on children with spastic diplegia. After 12 weeks of intervention, the children showed improved muscle strength and decreased spasticity. Some people, like the the elderly who are prone to falling, can’t work out due to certain limitations or significant impairments. In such cases, vibration is a good option which mimics the metabolic effects of exercise. It is able to prevent weight gain while improving functional capacity and bone health. Vibration can increase bone density and reduce bone density loss. This is especially important for postmenopausal women and people who are suffering from osteoarthritis. Not only is it quite effective, it has no side effects as well. In a study published in the Journal of Orthopaedic Surgery and Research in 2016, postmenopausal women who underwent vibration therapy showed significant bone loss reduction in the lumbar spine. On top of that, it can improve balance, making it a good fall intervention. Based on the benefits of vibration and heat therapy, it’s easy to see why people go to heated massage chairs and pads for overall wellness. There are a lot of affordable and quality options that you can choose from, as you can see from the list above.